They were the elite. They were the most recognizable, most scandalous, most singular personas in the fashion world. Here are the eight models that ruled the fashion world in the 90s! Tyra Banks was the first black woman to be featured on the cover of both GQ and the Sports Illustrated Swimsuit Issue. So, if you think fashion magazines have a problem with diversity now, imagine the hubbub something like this could have (and absolutely did) caused in the 90s. 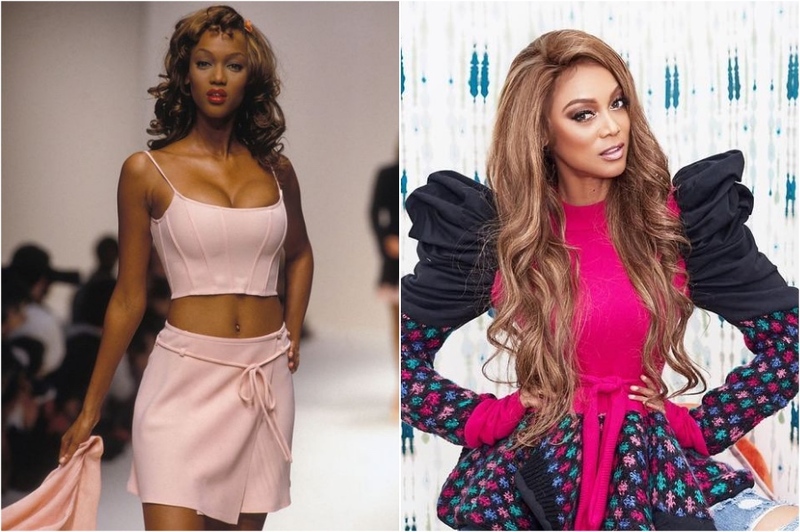 Tyra Banks’s career went further than fashion runways as she stared in The Fresh Prince of Bel-Air and Coyote Ugly. By the time the 90s rolled around Cindy Crawford’s modeling career was already in full swing, but a few iconic appearances blew her into the stratosphere of modeling stardom. First, there was that red dress at the Oscars that nobody could stop talking about for months. That was soon followed by a Super Bowl commercial (the Pepsi one – I’m sure you remember). All of a sudden Cindy Crawford was everywhere and girls all over the world were drawing beauty marks above their lips with their mum’s eyeliner. Claudia Schiffer was the definition of model in the early 90’s. 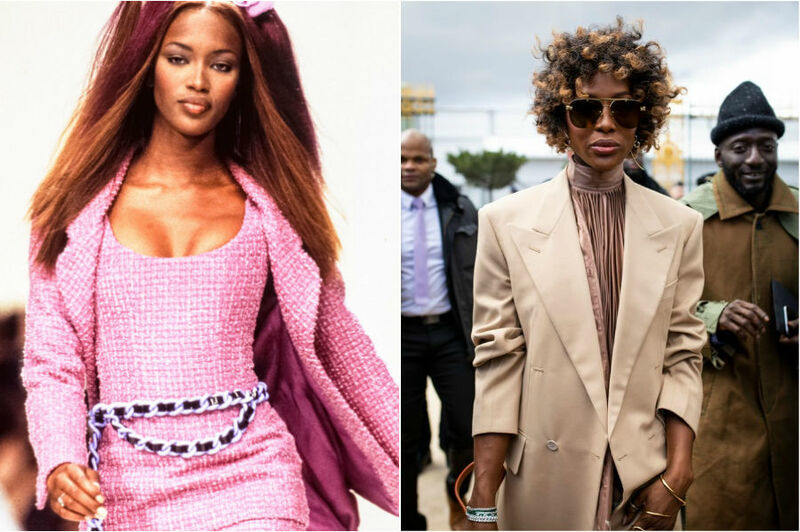 While many of the models on this list were up-and-comers in the early 1990s, Claudia Schiffer was it and she was showing everyone how it’s done. This German model was chosen to be the face of Chanel by non other than the late Karl Lagerfeld. Today Claudia still models and stars in campaigns for YSL, Chanel, D&G, and many other fashion houses. 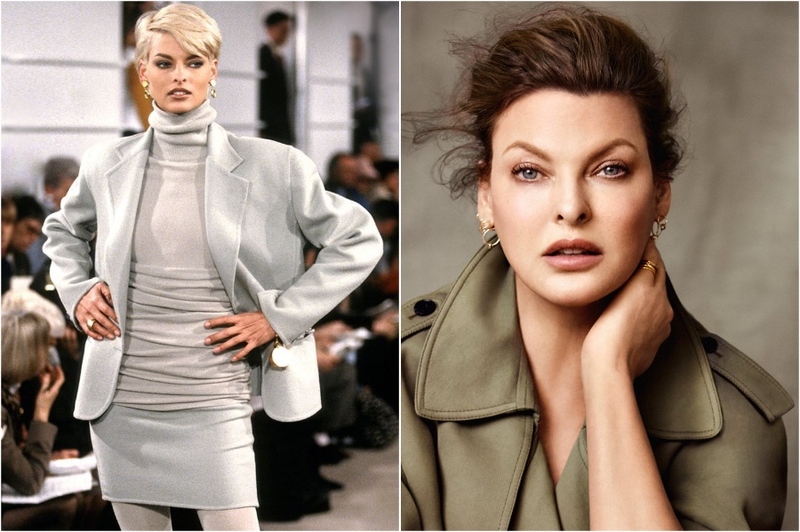 Many models hold many different records, but having the record for the largest number of Vogue covers has got to put Linda Evangelista in a class of her own. Linda’s biggest asset was her ability to miraculous pull off almost any kind of haircut imaginable. To this day I don’t think I’ve seen anyone pull off a pixie cut as well as her. Like Kate Moss (who of course will appear on this list), Stephanie Seymour was just as famous for her wild ways as she was for her spectacular modeling career. Her relationship with Guns’n’Roses lead singer, Axl Rose, seemed to never leave headlines of magazines. She even appeared in two Guns’n’Roses music videos (November Rain and Don’t Cry). Christy Turlington’s gorgeous face appeared on the covers of hundreds of magazines. And if that’s not enough of a testament to a person’s visage, the Metropolitan Museum of Art (yeah, that’s right, the Met Gala one!) named her the “Face of the 20th Century”. 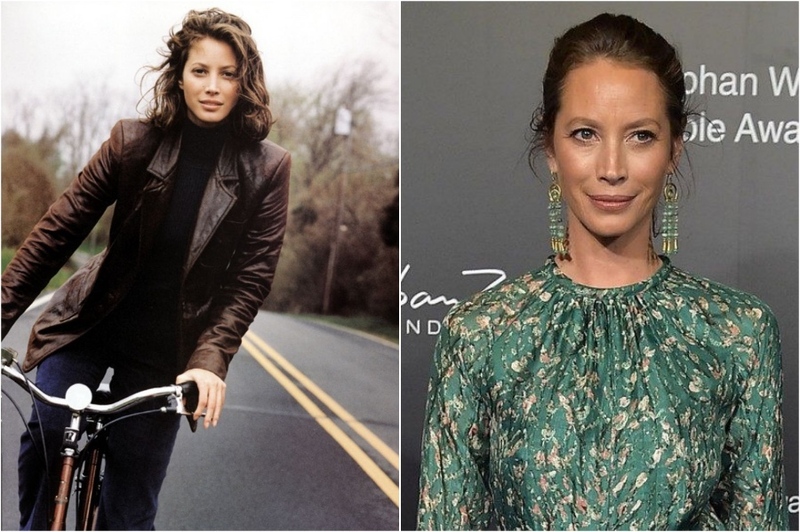 So, like, yeah, 100 years worth of faces, and it’s Christy Turlington’s that reigns supreme. Kate Moss epitomizes modeling in the 90’s. She is one of the few models whose fame spread past the 90s as she became less of just a model and more of an archetype. Her history with drugs, her antics, and here relationship with equally scandalous Johnny Depp and later Pete Doherty have made her a cultural icon. Furthermore, Kate Moss was the face of YSL’s 2018 winter collection, proving that certain models and personalities never go out of fashion. How can a list of 90s models be complete without Naomi Campbell? Some could (mistakenly) argue that her career peaked in the 90’s, but in the early aughts Naomi’s brand was unstoppable. Heck, she’s unstoppable even today! She received the CFDA Fashion Icon Award in 2018, and continues to appear on the runways and ads of fashion houses like YSL, D&G, Louis Vuitton, Prada, and Balmain.